As you all know by now that I love anything natural. Especially, for my skin which is the most sensitive and needs that extra bit of care and attention. I have always believed in exploring new skin products and using what works best for my skin. I find it too boring to stick to the same products. 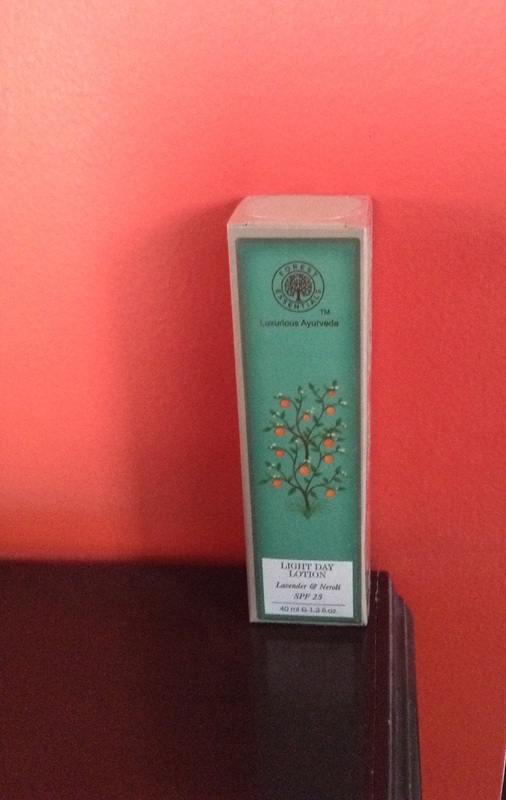 My favourite natural products include Skin Yoga, The Body Shop, Khadi and Forest Essentials. These brands use natural ingredients free of chemicals and they are just magic on your skin. 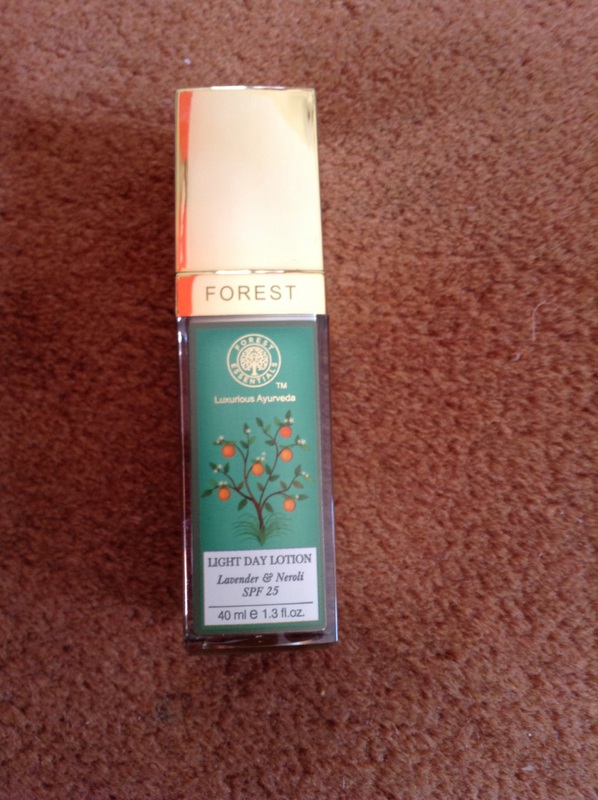 First Impression:- An amazing product yet again by Forest Essentials. A Light Day Lotion with SPF 25 this is a must have especially for the Monsoons. It’s non-sticky formula leaves you leaving fresh and clean all day long. I said goodbye to sticky and oily skin after using this cream. Packaging:- It comes in a nice gold lid bottle. Compact and easy to carry in your handbag.